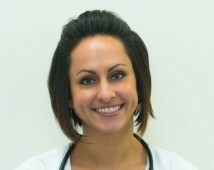 Shirin Dalai is a Family Nurse Practitioner with over 8 years medical experience. She obtained her Master of Science from Hampton University and her Bachelor of Science from Salisbury University. Her plans are to obtain her doctorate in the near future. She has been in the field of nursing for eight years, physician and enjoys every day of it. Shirin loves to help others. She believes everyone should feel beautiful in their own skin.